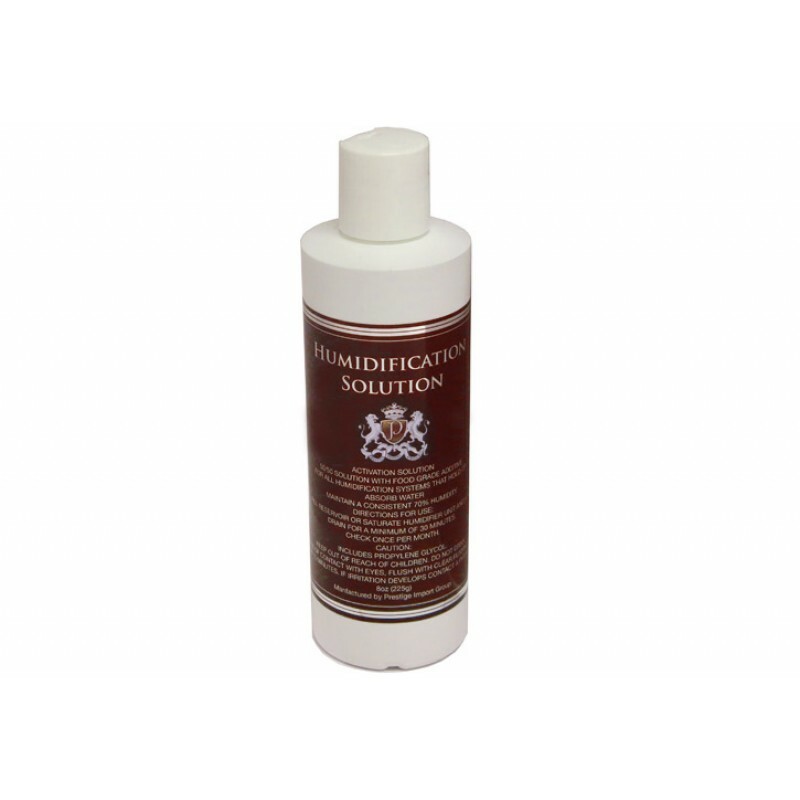 Our "Propylene Glycol PG Solution" or "Humidification Solution" is an important additive used to maintain the life of your humidifier along with the taste and freshness of your cigars! Features a perfect blend of 50% food grade propylene glycol and 50% distilled water which helps the humidifier automatically maintain humidity levels in humidors at an optimum 70%. Not only does it keep your humidity levels in check, it also prevents the formation of bacteria and mold growth within your humidor that can ruin your cigars. Each 8 oz. bottle features a convenient flip top spout and lasts for approximately 9-12 months in an average humidor with a capacity of 75-100 sticks. Works effectively in all humidification systems and is highly recommended. When purchasing a new humidor, a bottle of this cigar solution is a must.